7. Break off pieces of the pastry dough and press into each mini tart pan. Prick the bottoms of the pies several times with a fork. Freeze for ten to fifteen minutes. 8. Bake in the oven for about twenty minutes, until the pie crusts have turned a golden and light brown. Remove from oven (and remove from tart pans, if desired) and let cool. 5. Remove the curd from heat and mix in the lemon zest. Let cool completely. 1. Place egg whites in a mixer bowl with the whisk attachment. Begin to whip at low until the egg whites begin to foam. 2. Add the cream of tartar and increase speed to medium high. Gradually add the sugar. 3. Whip the egg whites until stiff peaks, being careful not to overwhip. 4. Add the vanilla extract and whip the egg whites on high for about ten seconds, "sealing" the meringue. 2. Pipe a small amount of lemon curd into the prepared pie shells, enough to be just about level with the top edge of the crust. 3. On top of the lemon curd, pipe a small dollop of meringue. 4. Bake for fifteen minutes, until the meringue is just barely golden brown. Remove from heat and let cool. What a great cause! If I were near Stanford I would drive over there in a minute. But thanks for giving us another way to help! What stunning photos! 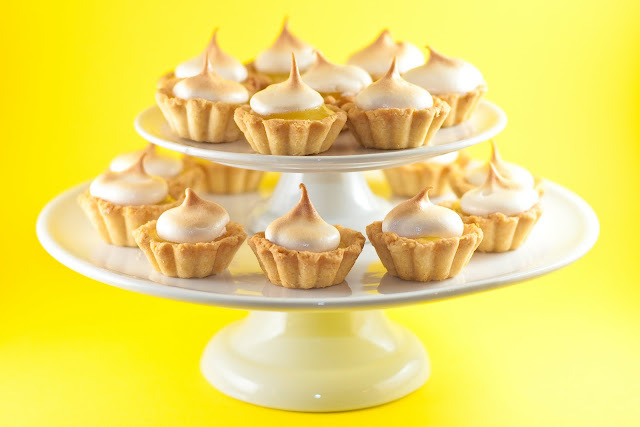 I have loved lemon meringue every since I was a little girl and would be thrilled if someone presented me with these mini pies. 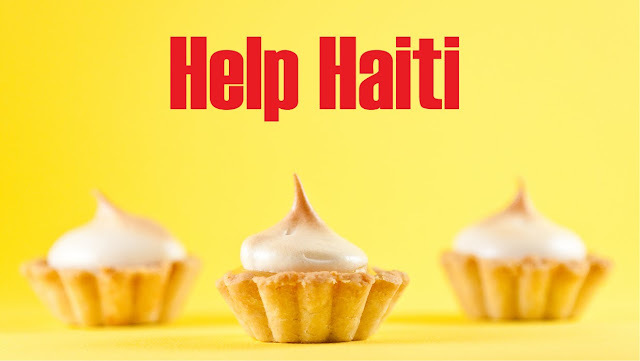 Great work in raising money for those suffering in Haiti. Was wondering if I could make them in mini muffin trays instead individual tart pans (as I don't have any on hand)? @Anonymous: I've never personally tried it in muffin trays, but I'm thinking it would work!